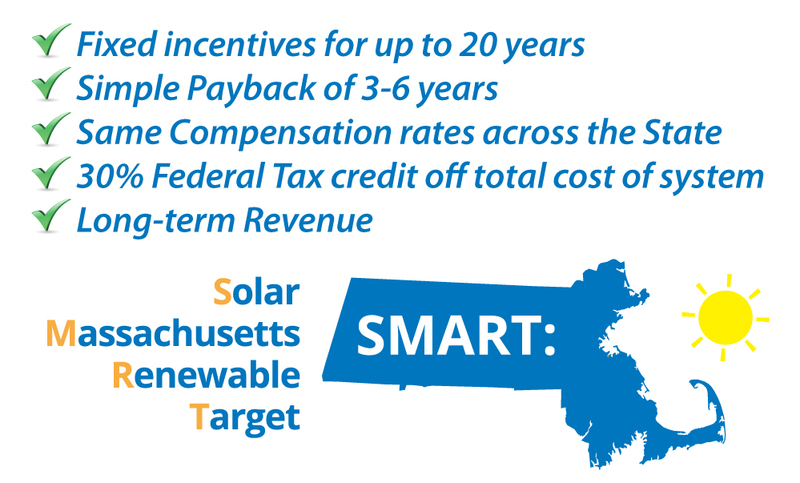 The Solar Massachusetts Renewable Target (SMART) incentive, offers fixed incentives for up to 20 years on qualifying solar projects! Massachusetts’ SMART is designed to double the installed capacity of solar in Massachusetts from 1,600 to 3,200 megawatts over the next several years. 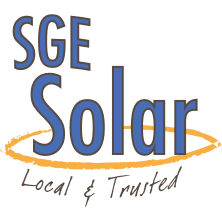 As a turn-key installer, SGE will manage the process of getting your solar system installed so you can take full advantage of all the incentives Massachusetts has to offer. Go Solar with No Money Down. We are incentive experts and work closely with all agencies that offer financial incentives on behalf of our customers. Contact Us for financing options available. Please visit The Database for Renewable Energy & Efficiency (DSIRE) website for detailed information on Massachusetts incentives. DSIRE is a comprehensive source of information on state, local, utility, and federal incentives that promote renewable energy and energy efficiency. You can also contact us to discuss any incentives or questions you may have. Question: When will Block 1 close and the MA SMART program base incentive levels transition to Block 2 levels? A. Scheduled reductions in the MA SMART program incentive rates are based on the cumulative capacity of applications, not based on elapsed time. Within each EDC’s program allocations, Blocks will close and incentive rates will decline only when prior Block capacity allocations have been filled. Please note that there are 5 utility areas/territories within the MA SMART program and that each Block allocation will fill independently, based on applications specifically within that territory. As each EDC’s blocks are filled, the program will immediately start accepting applications for the subsequent block for that utility. The timing of each of these transitions will vary by utility and will be dependent upon the volume of applications received and how quickly each EDC’s Blocks fill. Also note that each Block has a minimum of 20% of the Block capacity carved-out for small systems ≤ 25kW, and maximum of 35% of each Block allowed for the small systems. As such, the small system portion of each Block will fill independently of the large system portion, and this will also vary by EDC territory. Question: If my current projects are interconnected, generating power and net metering but not in the SREC program, can I still apply for SMART? A: All systems interconnected on or after 1/1/2018 in Eversource, National Grid, or Unitil service territory are eligible for SMART, so long as they are not already enrolled in an SREC program. Question: It is my understanding that SRECs are ending March 31st. What is going to happen in between this program ending and when the SMART Program will be rolled out? A: To clarify, SREC II will end when the SMART program begins, without any gap between the two programs. Until that time, systems may continue to apply for SREC II participation and compensation.